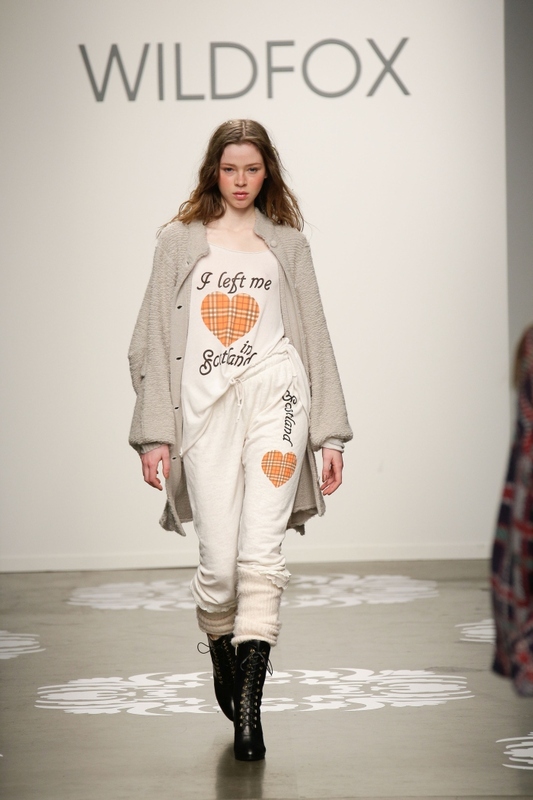 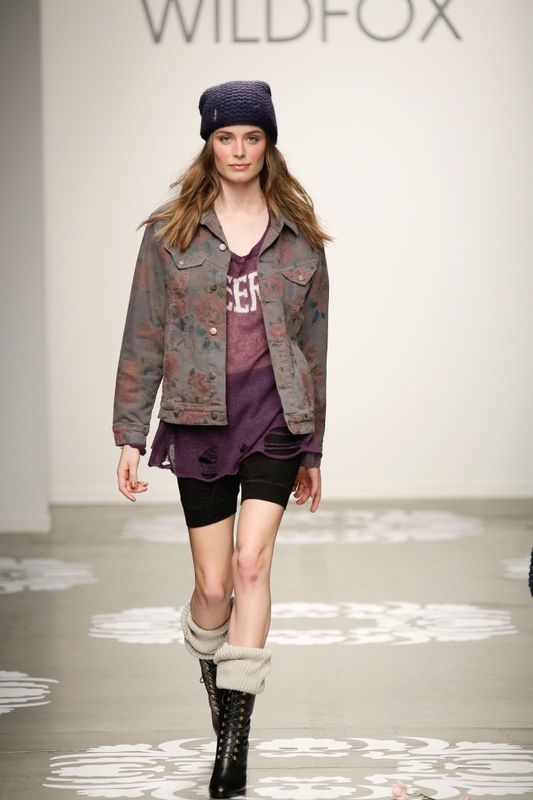 The Wildfox – Fall/Winter 2014 Catwalk Show took place during Fashion Week in NYC. 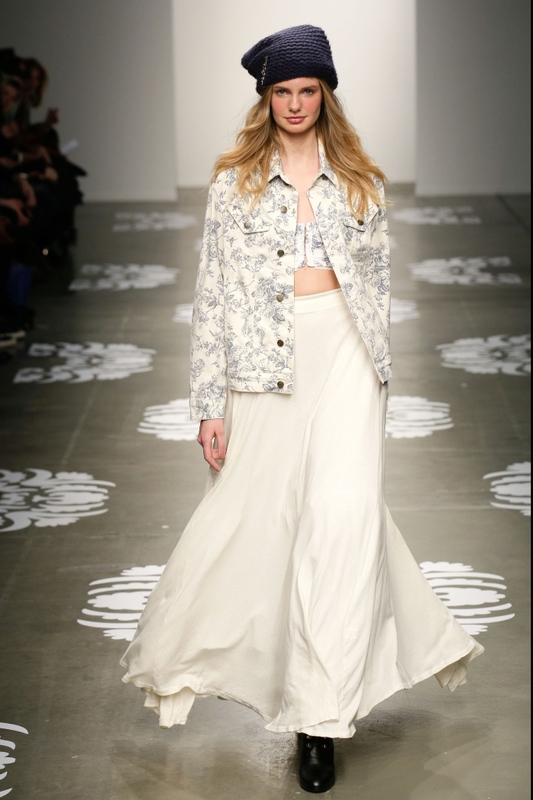 The location was pretty funky at the Pier 59, right at the Hudson River. 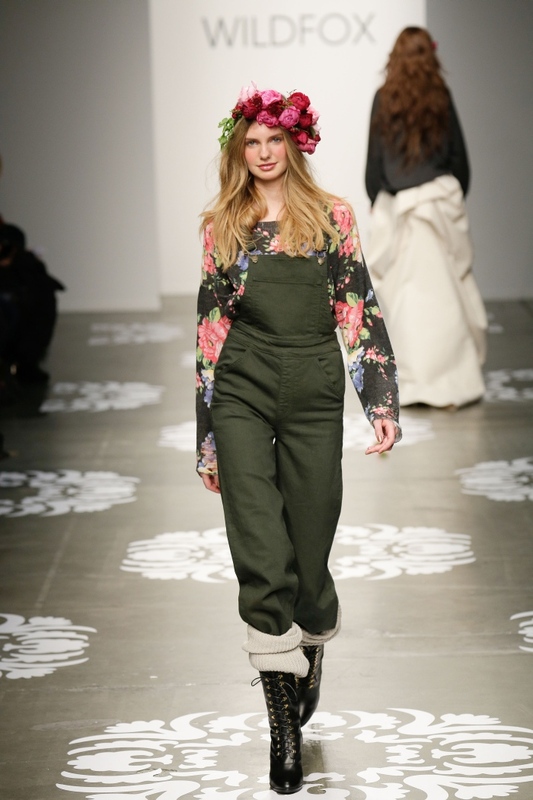 Considering the awful weather condition and freezing cold, the show was amazingly flocked with fashionistas and celebrities. 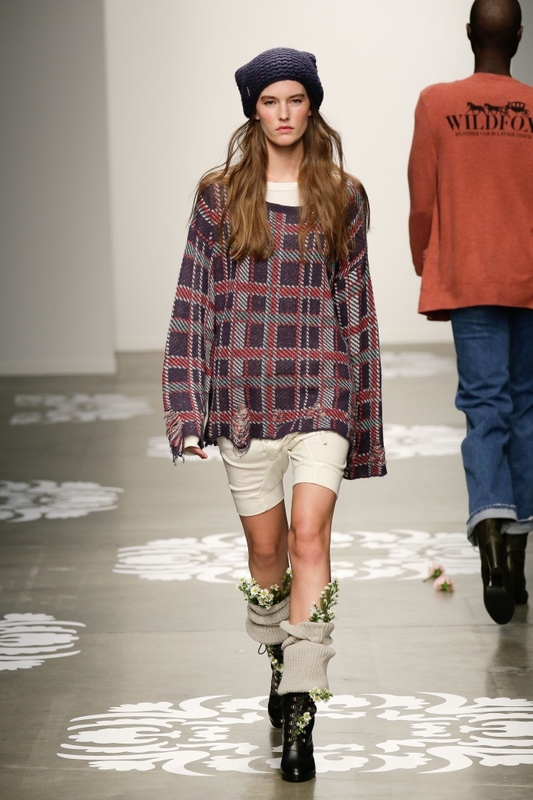 In her New York Fashion Week debut, Wildfox creative director Kimberley Gordon put on a fun and quirky runway show. 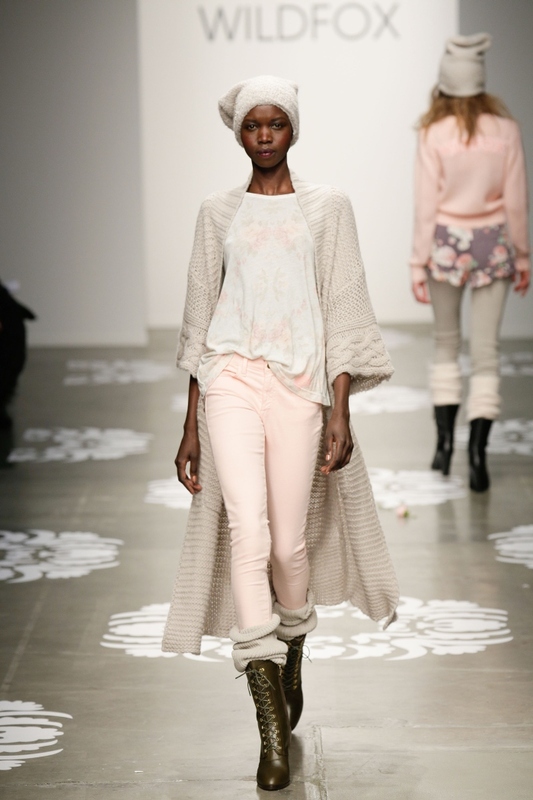 Inspired by Jane Austen, Gordon titled her collection “Sense & Eccentricity”. 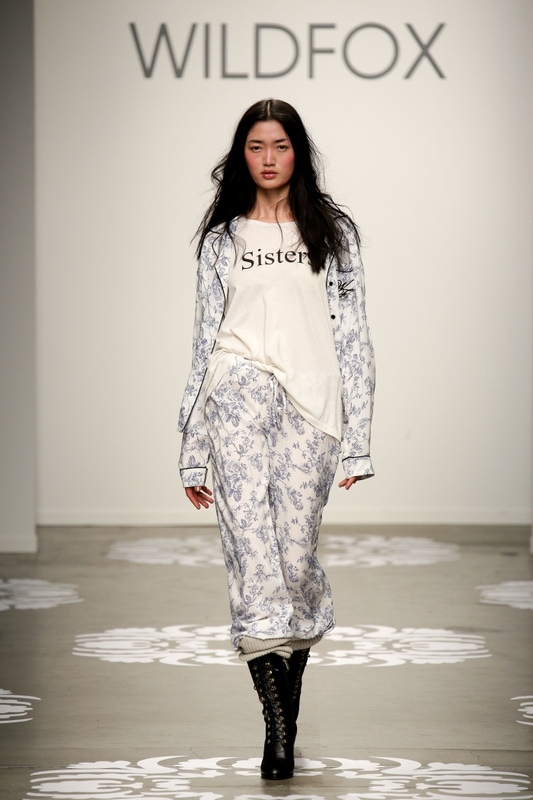 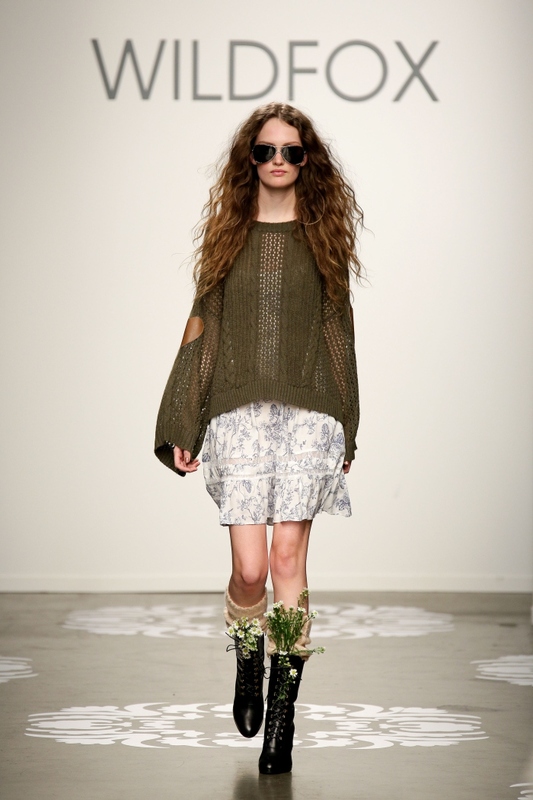 She showed plenty of English toile prints, florals and countryside motifs on pieces from sweaters to denim jackets. 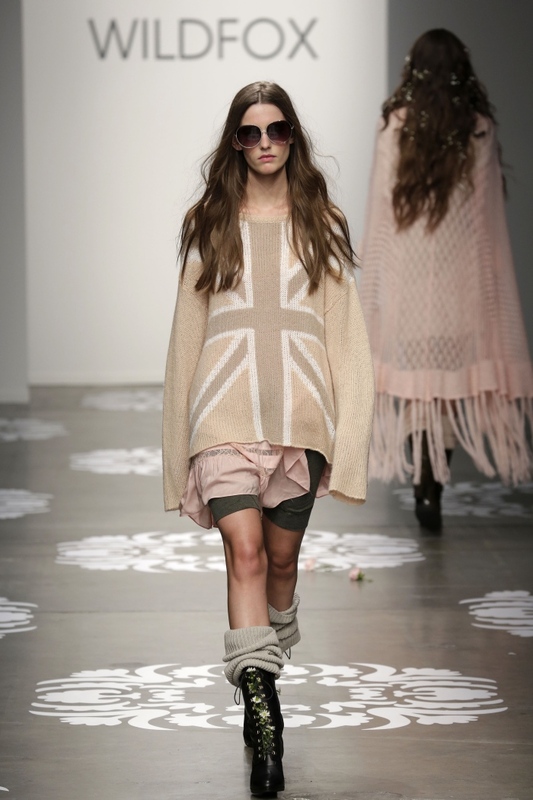 But for the Wildfox girl who loves her vintage T’s and rocker edge, Gordon had plenty of options, like Union Jack tanks and plaid sweatshirts.